Partly cloudy skies. Warmer. High 79F. Winds WSW at 15 to 25 mph..
A few passing clouds. Low 53F. Winds WSW at 10 to 15 mph. 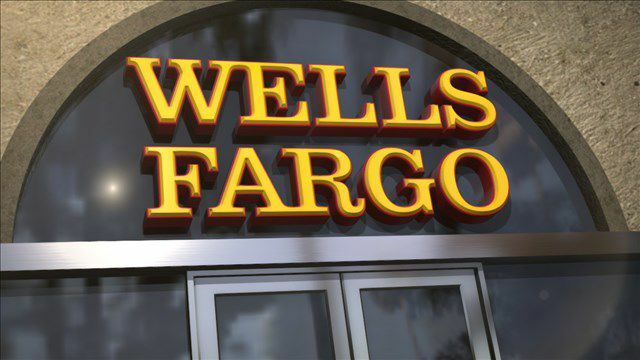 Wells Fargo customers may have difficulty using their debit and credit cards Thursday. The company put out this message on their Facebook page Thursday morning. We received a tip from an employee within Wells Fargo with knowledge of the issue. According to the employee, the outage is a result of a fire at the server farm located in Shoreview, Minnesota. As a result of the fire the servers had to be shut down. According to the employee, the servers may be down until Friday. NBC Affiliate KARE is on site trying to gather additional information and shared the following picture with KULR-8. "We’re experiencing system issues due to a power shutdown at one of our facilities, initiated after smoke was detected following routine maintenance. We’re working to restore services as soon as possible. We apologize for the inconvenience." KARE-11 has put together some tips on what you can do if you continue to have trouble accessing your accounts. How to check your bank balance: If you can’t access your account information online, a phone representative may be able to provide limited information about the money in your accounts, based on the bank’s records before the system’s issues began. Wells Fargo’s customer service number is 800-869-3557; you can also try its text banking service or visit a local branch. The Wells Fargo outage is probably not going to be the last time a bank experiences a tech failure. Take these steps to prepare for the next one, regardless of where you bank. For more information visit KARE online by clicking here.